Low back pain is one of the most commonly observed musculoskeletal disorders. It shows a very high prevalence worldwide and about 90% of people face some kind of back pain at least once in their lifetime. Back pain can be either acute that lasts for few weeks or it can be chronic that persists for more than three months. People suffering from chronic back pain problems often develop major physical, social and mental disruptions, which affect their occupations and routine activities. Chronic back pain causes persistent pain that is often unbearable and restricts routine activities such as driving for long distance, lifting things or even sitting at once place for a long time. Interference with daily life makes the person suffer emotionally and as a result the quality of life is affected. Studies suggest that 11 out of every 100 people in the world suffer from chronic low back. 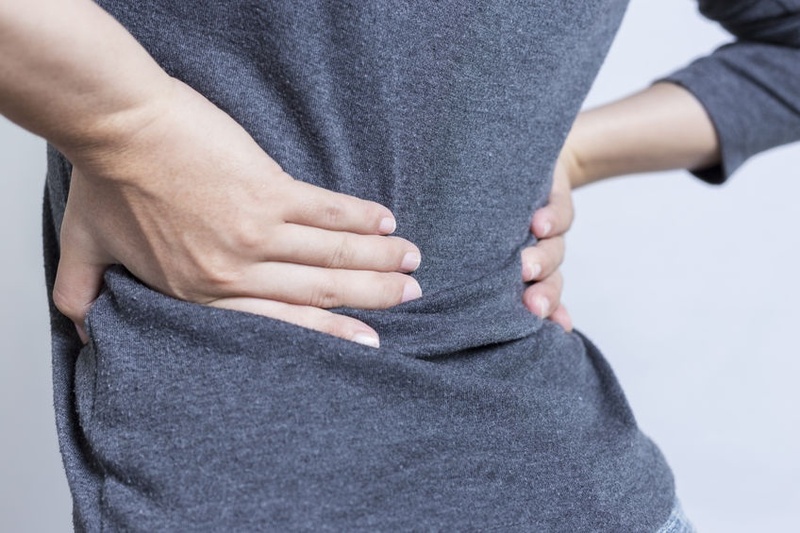 The incidence of back pain is also likely to increase owing to the increased prevalence of obesity, sitting jobs, depression and unhealthy lifestyle patterns. In India almost 11% of corporate office goers take at least 7 days of sick leave due to back pain. This clearly shows back pain not only affects health but also the economic conditions due to loss productivity. Some working professionals prefer reporting to work even when in severe pain. In such cases people rely on pain medications such as NSAIDs or muscle relaxants. However, taking pain medications on regular basis is not a healthy option. There are several natural therapies that have been proven to effectively cure back pain problems and help the person revert to routine activities. However, most of the natural treatments also demand several changes in lifestyle. If you are ready to make some healthy changes in your lifestyle and determined to maintain it, natural therapies for back pain can be your option. Have a look at some of the natural therapies that effectively reduce back pain. “Rubbing” as done in massage therapy was known and practiced as a primary form of healing method by our ancestors. Back massage is one of the most relaxing and effective method to ease muscle pain and stiffness, which is a common cause of back pain. Back massage performed to manage back pain mainly uses principles of Swedish and deep tissue massage. Swedish massage is done using five special movements that include pressure, tension, and motion or vibration to heal the painful joints and muscles in the lower back area. The deep strokes of massage reduce muscle knots and increase the blood circulation to the back muscles. This improves the supply of oxygen and fresh nutrients to muscles. The massage also reduces the tightness or stiffness in muscles that are strained thereby releasing the tension. Acupressure is a part of traditional Chinese medicine and is indicated for pain-relief. Acupressure involves applying physical pressure on selected parts of the body using hands, palms, wrists and knees to stimulate acupoints. Stimulation of acupoints reduces muscle pain and tension, improves blood circulation and releases endorphins (natural painkillers). Acupressure is non-invasive, safe and an effective method to reduce back pain. According Chinese medicine principles, stimulation of special acupoints improves the energy circulation and balance in cases of pain symptoms. TENS is performed by applying electrical stimulation to the skin to manage the pain. The TENS technique uses low frequency electrical current to stimulate muscles and nerve tissues. The stimulation of nerve cells reduces pain by blocking the transmission of pain signals or releasing pain reducing endorphins. Kati basti is a special Ayurvedic treatment used in the management of low back pain mainly arising due to spinal spondolysis. The procedure includes pouring of warm medicated herbal oils over the lower back area especially the spine. The oil is retained in a well made up of gram flour. The warm herbal oils penetrate to the spinal bones and improves flexibility. The therapeutic action of herbal oils also helps to reduce pain in muscles surrounding the spine. Spinal manipulation is a specialised treatment used to correct the alignment of spine structure. The therapist applies controlled force to spine joint to relieve pain and improve physical functioning. Research suggests that correct procedure of spinal manipulation causes suppression of inflammatory chemicals such as prostaglandins, cytokines, tumor necrosis factor α(TNFα) and interleukin 1β (IL-1β). Spinal manipulation is mainly indicated for treatment of low back pain or neck pain. It also can relieve discomforts of the musculoskeletal system, which includes all joints and muscles. Spinal manipulation is an extremely skilful procedure and needs to be performed by an experienced therapist. It is considered as one of the most effective natural treatment for management of low back pain.